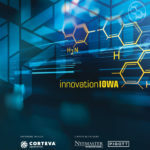 The Iowa Governor’s STEM Advisory Council received $200,000 to support Iowa’s STEM initiative for three years, the council announced on Friday. “The STEM Council is making significant strides towards helping prepare students for future careers. We believe our investment in STEM is essential to help grow Iowa’s talent pipeline,” said Adriana Johnson, community program manager in Diversity and Community Relations for Rockwell Collins. The Iowa Governor’s STEM Advisory Council was established in 2011 and is designed to improve Iowa’s educational system in areas of science, technology, engineering and mathematics (STEM). The 50-member STEM Council is chaired by Governor Kim Reynolds and Accumold President and CEO Roger Hargens.